The__Scene View__ is your interactive view into the world you are creating. You will use the Scene View to select and position scenery, characters, cameras, lights, and all other types of Game Object. 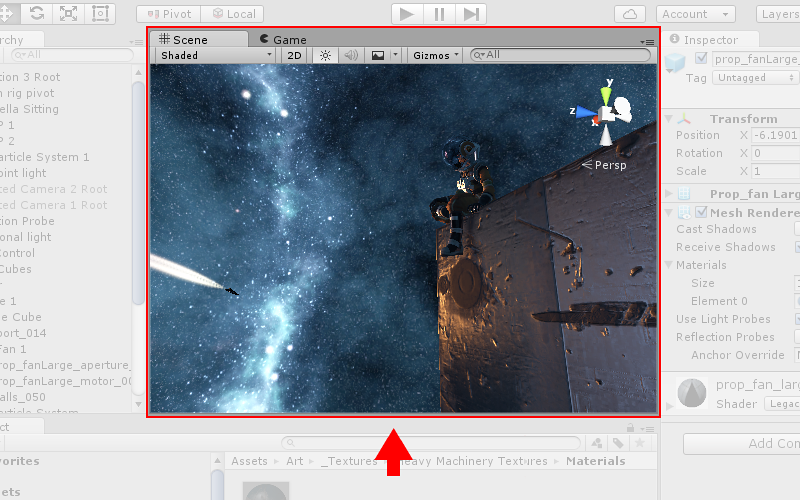 Being able to Select, manipulate and modify objects in the Scene View are some of the first skills you must learn to begin working in Unity.